When we went grain free, I thought I had given up the waffle iron forever. In fact, it sat in our attic for a year until the kids asked if we could make waffles again. 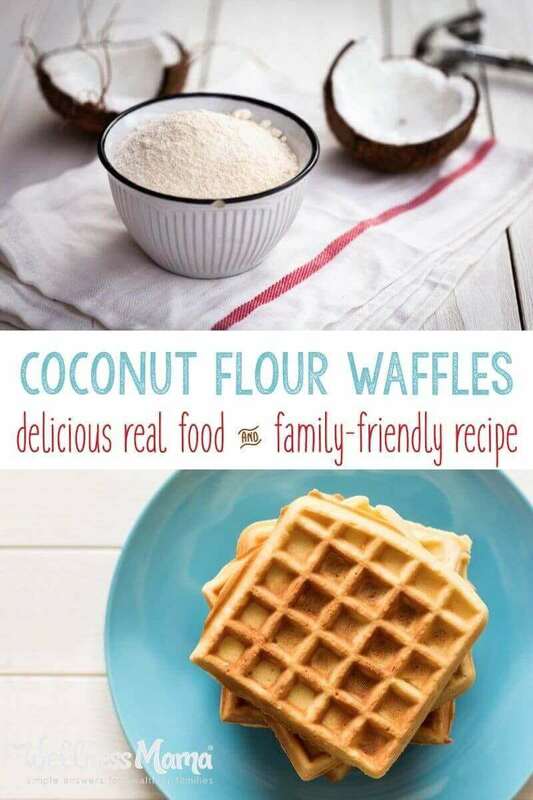 I played around with a lot of ideas and eventually came up with this protein packed recipe for grain-free, dairy- optional, coconut flour waffles that are fast and easy to make! 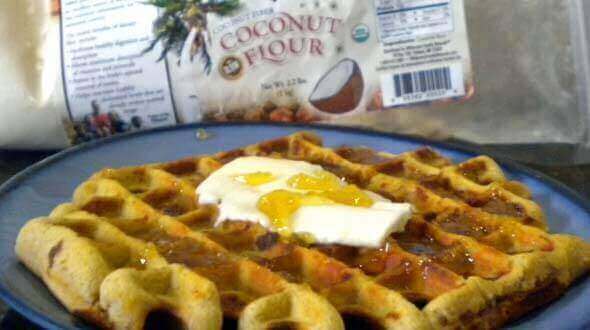 Just don’t try to eat as many of these as you could regular waffles- they are extra filling! 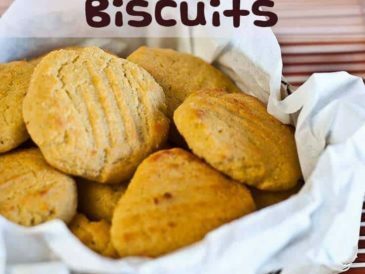 These use coconut flour, a protein and fiber packed alternative to normal flour. If you’ve never used coconut flour before, it takes a little learning to use it correctly. 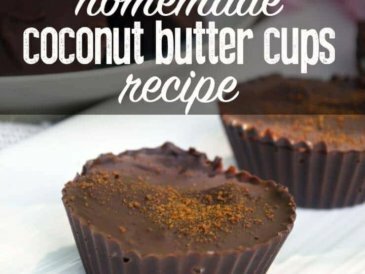 Only ½ cup of coconut flour is needed (not a typo! ), and the extra eggs are needed to create the right texture with these waffles. For a fast, on-the-go breakfast, make a waffle, cut in half and put eggs and bacon/sausage inside to make a fast and healthy breakfast sandwich! 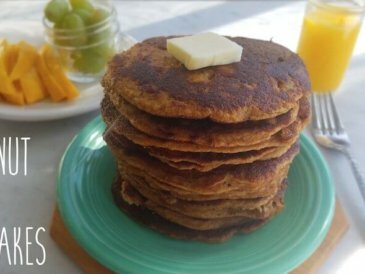 Check out some other breakfast ideas here. In a medium size bowl beat the eggs with whisk or immersion blender. Add the melted butter or coconut oil, cinnamon, vanilla, and salt and mix well. Add the coconut flour and mix well. Batter should be thick. If it is too thin, add a little more coconut flour. Spoon into preheated and greased waffle iron and cook until light brown and firm to touch. 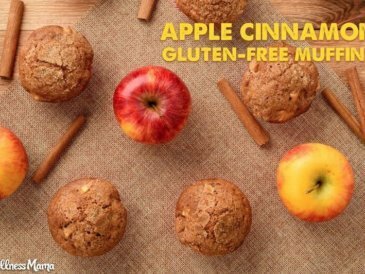 Serve with a pat of butter and some homemade strawberry syrup, pure maple syrup, or almond butter. 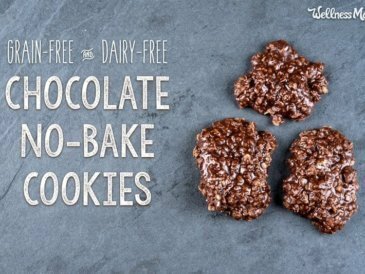 Make a big batch of these and freeze for an easy breakfast later. To reheat, just pop them in the toaster or oven. What is your favorite waffle recipe? 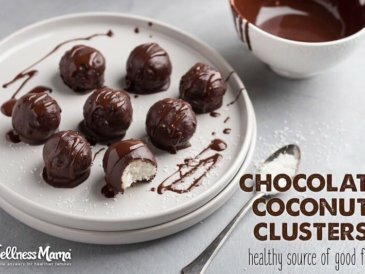 Have you made a healthy version of an unhealthy favorite? Tell me below!